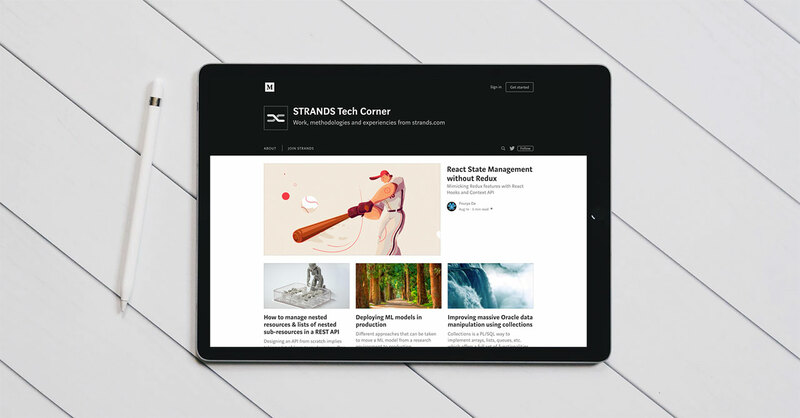 Strands, recognized by the financial industry as “The Fintech Partner for Banks”, is pleased to announce the launch of its new technology blog, https://medium.com/strands-tech-corner. “Strands Tech Corner features posts written by all the employees that build our products: developers, data scientists, designers, product owners, devops, quality engineers, etc.” said Pablo Reyes, VP Engineering of Strands. “We will share our experiences in the best way we know: with real case examples, showing our day-to-day challenges, and our failures and successes”.